This is a quick-hit list for local business owners who just can’t figure out how to get incoming leads and customers from their online efforts. The common mistakes we discuss here are relatively simple to correct, and if you are in a small to medium sized market, they might even be enough to immediately drive a significant number of new leads to your website. 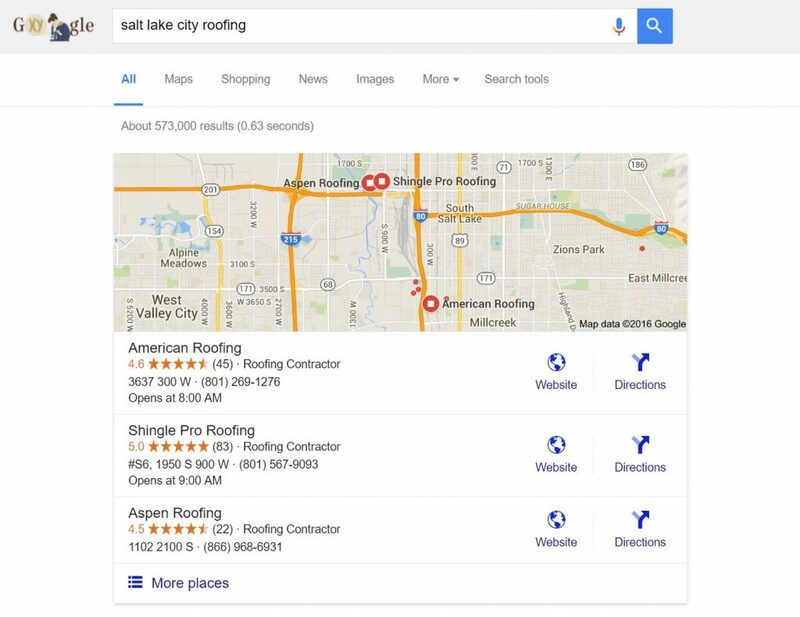 For more competitive markets, you’ll want to go through the full process we discuss in this step-by-step Utah SEO case study. I’ll spare you the anguish in my eyes and the disgusted look on my face… let’s just say there is ZERO reason to not have your business listed with Google. If you haven’t listed your business on Google yet, click here RIGHT NOW and list your business (or claim your listing). Google is THE gateway to local lead generation. While they aren’t the ONLY avenue, they might as well have a monopoly in terms of the number of leads they can send your business as compared to the next closest competitor. In other words, you can’t afford to not have your business listed on Google. Citations are places on the web that mention and point to your business. Citations list your business name, address, and phone number. If possible, it’s good to make them point to your website as well. Your Google business listing is THE most important citation you can have, but you shouldn’t stop there. It’s always good to have more citations than any of your competitors. This can be time consuming work, but it’s essential to getting your business ranked online. On that note, we’ve out together a list of the top sources for Utah SEO citations here. If you have a few dollars to spare, hire an hourly assistant or virtual assistant to go through and list you on all these locations. If not, allocate a few hours and make it happen. This is our last mistake addressing citations, but it’s incredibly important. Citations need to be 100% uniform. In other words, if your Google business listing is “Greg’s Steakhouse”, every single citation should be an exact match. You shouldn’t have “Gregs Steakhouse” or “Greg’s Steak House” or “Greg Steakhouse”. Every citation must be 100% uniform in the name, address, and phone number if you want to see results. If you have control over your listings, you’ll want to immediately fix any errors to match your Google business listing. If not, you will want to claim your listings and then change them as soon as possible. If that’s you, AT LEAST do the following for every page you publish. Everything we’ve talked about thus far has been for the purpose of getting visitors to your website. But getting people to your website isn’t the same as generating leads or closing sales. Once people arrive at your site, they need to like what they see, and even more than that, they need to be sold on your services enough to give you their contact info or contact you directly. The best way to do this is to turn your homepage into a strong landing page that makes a compelling pitch for your business. You can think through this yourself and give it a shot, or you can hire a talented website copywriter to do it for you, but either way, simply putting up your contact info and hoping people call you isn’t good enough. If you hired a local business SEO specialist 10 years ago, they might have had you create multiple websites targeting various areas with your services. And that was probably a great strategy in 2006. Today, the SEO landscape is vastly different. Google’s updates have dramatically reduced the positive impact multiple sites can have. In most cases, it is far better to combine the content from your various sites into a single website. That said, there is a specific way to do this, so you will definitely want to talk to an SEO expert before making a move like this. As time moves forward, you will make both small and large changes to your website, and there’s a good chance that this will result in broken links along the way. Broken links can stonewall visitors and cause them to leave your site, so it’s important to regularly check for these and then either fix onsite links or reroute dead links to new content using 301 redirects. This will take 5 minutes MAX unless you have a ton of broken links (hopefully you don’t!). I’m all about picking the low hanging fruit first, and it doesn’t get any lower than these 7 common mistakes. Taking 30 minutes out of your day to go through these and fix as needed could literally double your organic traffic within the week.